It is important; however, to exercise caution when sharing information about yourself to those you’ve never actually met. Be aware that scammers often target dating site users as a way of interacting with strangers so that they can perform any one of numerous online dating scams. What follows are a few simple tips to lower your risk of becoming a victim. Do not give out personal information: If someone asks for your address to send you a gift, tell them you can accept it if (and when) you meet in person. Information such as your address, phone number, Social Security number or place of employment can be used to steal your identity. Be wary of people who seem to move too quickly: If someone you just started communicating with last week asks for your hand in marriage, it could be a red flag that this person has less than honorable intentions. You should spend quite a bit of time getting to know someone before you travel to see them or give them any personal information. Don’t send money to anyone you meet online: You have been talking to John in Baltimore for months now and you agree it is time to meet in person. He says he will pay half of the ticket and you just need to mail him a check for the other half. Sounds fair, except now he has your checking account number, your routing number and whatever other personal information you have divulged to him in your courting period which he may be able to use to drain your bank account. If they seem too good to be true, they probably are: This is true with any scam and is just a good rule to live by. If a person contacts you and has the exact same interests, is physically perfect in your eyes, agrees with everything you say and instantly falls madly in love with you, you may be the luckiest person on earth… or you might be getting ready to be taken advantage of. Be careful when logging into dating sites in public places: Dating networks are much like other social networks. The same havoc that can be wreaked on your life should someone be able to log into your Facebook account can also take place if someone is able to access your online dating account. So take precautions to log out, and close browsers when logging off your accounts when on a computer that is used by more than one person. “Looking for Love Online? Use Caution: Online Dating and Identity Theft” was written by Matt Davis. Matt is Director of Business Alliances at the Identity Theft Resource Center. The original article was posted here. 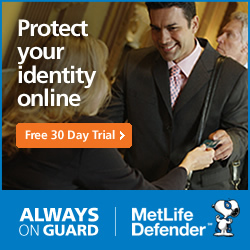 Let MetLife Defender guard your identity, so you can live your life. 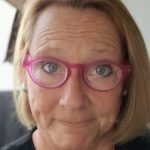 Sharing your personal data is almost impossible to avoid in today’s digitally connected world. Think about it. Each time you swipe your credit card or log into a website, you transmit your sensitive data to someone else and trust it will be kept safe. Unfortunately, today’s connected lifestyle could put your personal data at risk. You could unknowingly fall for an online scam, or criminals may hack the computer system at your bank or favorite store. It is important for you to protect yourself from identity theft and other online risks. MetLife Defender provides comprehensive protection against the full range of today’s online risks — beyond your personal computer or device — to keep your personal data safe.